Ontario’s car accident rules are very complicated. We have a “no-fault” system of accident benefits for car accident cases. This probably means nothing to you, but it means a lot to your lawyer. With offices in Toronto, London, and Peterborough, we’re able to service clients across Ontario. Basically, regardless of whose fault the car accident is, your first source of recovery will be your own insurance company. Even if the car accident wasn’t your fault whatsoever, you will first need to make a claim from your own insurance company. You may claim such things as the replacement value of your vehicle, attendant care benefits, housekeeping benefits, home maintenance benefits, income replacement benefits, death benefits, funeral benefits, medical benefits and rehabilitative benefits. All of these benefits are called accident benefits. You will hear the term accident benefits a lot if you were involved in a car accident. In the event that your own car insurance company does not pay you the accident benefits which you’re entitled to following your car accident; then your personal injury lawyer may have to sue your own insurance company. You might be thinking: “Why would my own car insurance company not pay me what I’m entitled to after me car accident?”. Well, insurance companies are very good at taking your premiums for car insurance, but not as good paying out benefits. The more benefits they have to pay out to you, and other car accident victims like you, the less money for their bottom line. You may also need to sue your car insurance company if the other driver that hit you in the car accident did not have insurance. Think of it. You can’t get blood from a stone, so how are you going to recover from an uninsured driver? If the other motorist that hit you doesn’t have car insurance, or a million dollars sitting free and clear in his bank account, how will you ever get the compensation you deserve for your pain and suffering, lost income, or future earning loss claim? In this case, your own car insurance company will indemnify you for your personal injury damages like your pain and suffering award. But don’t expect your own car insurance company to lie down easily and just pay you a million dollar car accident settlement. Your own car insurance company will fight your claim just like any other claim. But, at least in this situation, there is a pocket to recover from for your car accident claim. 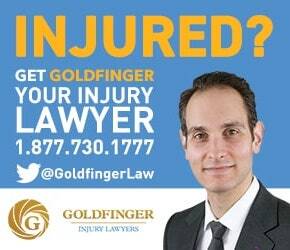 If you or a loved one has been hurt or injured in a car accident where there are car insurance issues, call Goldfinger Law. We have the experience required to ensure that your car accident case gets off to the right start; and to ensure that a financial recovery for the pain and suffering award you deserve is possible.